While many factors can contribute to learning problems, some children experience difficulty in school because they are not ‘visually ready’ to learn. If their visual abilities are not thoroughly evaluated, they may mistakenly be labeled as learning disabled or as having Attention Deficit Disorder (ADD). You probably already know what the letters “ADHD” represent: Attention Deficit Hyperactivity Disorder. 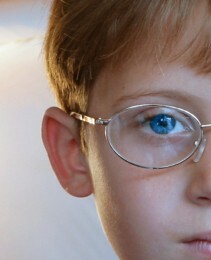 You may not be as familiar with convergence insufficiency, which optometrists call by its acronym, “CI”. Convergence insufficiency, or CI, is a condition in which the patient has difficulty using both eyes together as a team in a near space, as occurs during reading or writing. We each have seen children in our practices who touch everything in sight and are so distracted that it makes it difficult to engage them in conversation necessary to conduct the so-called subjective examination. We always try to tease out those children who appear to be globally ADD vs. those who have more of a visual ADD.